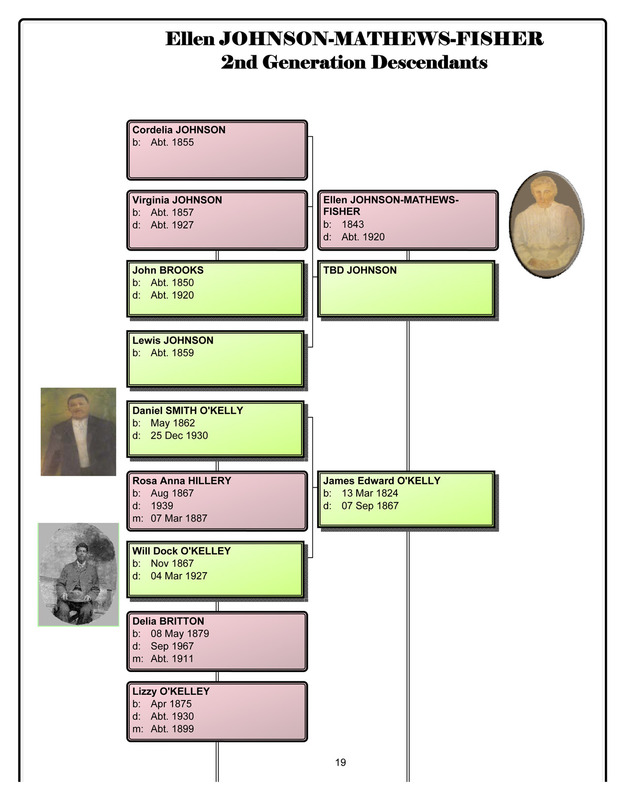 Are you missing in the family tree that is displayed at the family reunions? 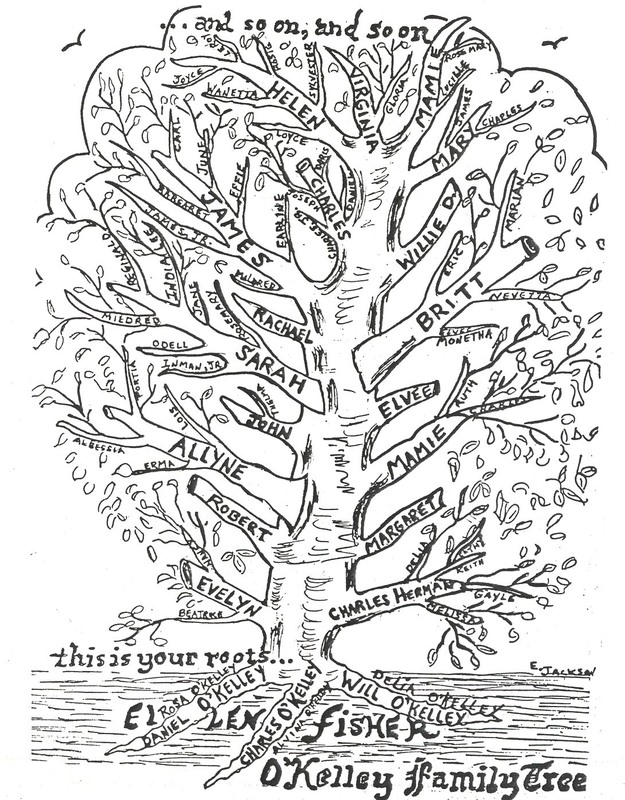 Are you aware of errors in the family tree? If so, help make the tree grow with accuracy, by submitting a family group sheet for yourself or others who are unable to. Your efforts will be appreciated & included as the fact resource. Descendant Family Tree Indexes - These indexes comprise information received and entered into the system through 2000. It is not complete & is not intended to include living persons born after 1920. Updates or corrections should be submitted using the Family Group Sheet provided above. The most current family tree is always displayed at the family reunions. --> Ellen Fisher Descendant Chart (pdf). Click below images for higher resolution jpeg files. --> Obituaries - As submitted by the respected family. --> 1881 Last Will & Testament of John O. Kelly aka John Francis Marion Kelly born October 28, 1799 / died November 23, 1882 (father of James Edward, John Beattie, Thomas Manley O'Kelly and other children). 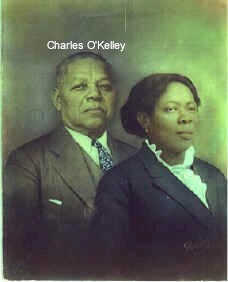 His children born in South Carolina were born as Kelly, some later changed their name to O'Kelly & O'Kelley. His children born in Florida retained the last name of Kelly. During the late 1800's-early 1900's in Mississippi, the O'Kelley children acquired land and other resources that enabled them to prosper. 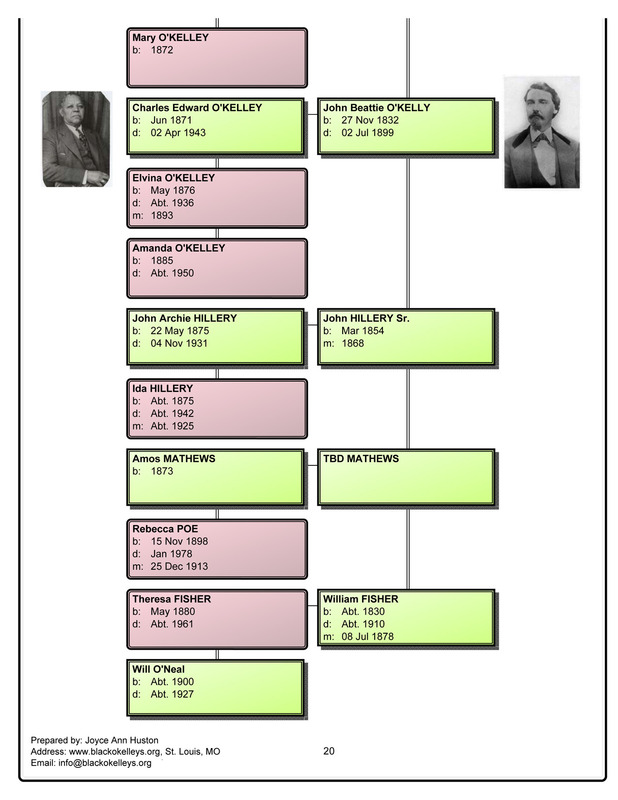 Two of the O'Kelley sons (Dan and Charles) owned large plantations in Magenta, Mississippi. These plantations provided goods to several grocers in the Greenville area. The middle OKelley son, Will Dock, had a highly respected and successful barber shop which catered to both Black and White clientele. He was called the "Black Jew" around town because of his wavy black hair and light complexion. His wife, LaVinia also had a thriving restaurant in Greenville. Later on, one of the frequent Mississippi river floods in the early 1900's wreaked havoc on towns such as Greenville, MS. Because of the damage, Charles and Will sold their property and a large portion of the family then dispersed from Mississippi to new cities such as St. Louis, Chicago, and Memphis-thus including themselves in what is now known as the "Great Migration" of southern Blacks who moved North. The town of Magenta was later incorporated into the larger city of Stoneville, Mississippi, which is now the home of Mississippi State University's Delta Research and Extension Center. Rosa Hillery O'Kelley born August 1867, died December 21, 1938. She is the wife of Daniel Smith O'Kelley and mother to their 10 children. Dan O'Kelley's daughter, Evelina O'Kelley Bush had a "This is Your Life" celebration presented by her Chicago church in 1957. 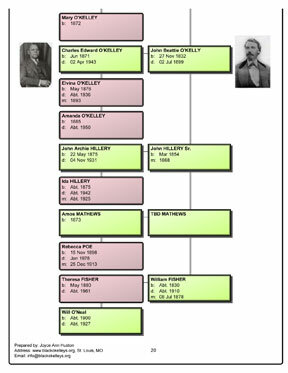 A devout 7th Day Adventist, "Ma Bush" a/k/a "Big Sister" a/k/a "Aunt Evelina" was the eldest of Daniel O'Kelly's ten children and the last to expire at 101 years old. Here is the transcript that reflects the life of just one of our family members who made her way North from Mississippi.